Tiger Woods Fires Back At Dan Jenkins’ Ridiculous Imaginary Golf Digest Interview – It’s A Piece Of Character Assassination! Dan Jenkins recently published an interview featuring imaginary responses from “Tiger Woods” in Golf Digest, and now the real Tiger‘s firing back with some reasonable choice words. Dan published his faux-interview in Golf Digest, a rather respectable publication, and many of the things he wrote could be interpreted as a direct and harsh attack on the pro golfer’s character. And that’s exactly how the real Tiger’s interpreting some of the statements made in the lame report. In the “interview,” the fake Tiger says things such as, “I like to fire people.” Also in the article, “Woods” bashes people who rely on tips and says that they should all go find better jobs. “Let ’em go find a better job,” this fake Woods states. Tiger Woods isn’t letting this one slide and has chosen to voice his side of the story in an article that was published earlier today. He understands that, as a public athlete and famous figure, he’s bound to encounter public scrutiny; however, this, he feels, is taking things a step too far. Woods raises an interesting question. What do you think of Dan Jenkins’ fake Tiger Woods interview? Do you think Tiger is blowing this whole thing way out of proportion or do you think he’s in the right to be so upset? Elin Nordegren’s New Man Christopher Cline Blamed For Workplace Deaths – Tiger Woods Allows His Children To Spend Time With The Man! 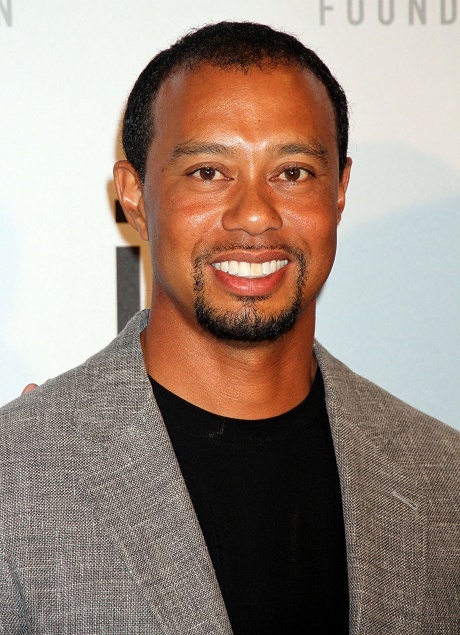 Tiger Wood’s Ex Elin Nordegren Claims He’s Damaging their Children with all his Girlfriends! Jennifer Aniston Terrified Of Justin Theroux’s Veins – They Remind Her Of Angelina Jolie! Bruce Jenner’s Mom Throws Kris Jenner Under The Bus: Claims She’s An Awful Person – Treats Everyone With Disrespect!